Posted on Wednesday, July 9th, 2014 at 10:35 am. 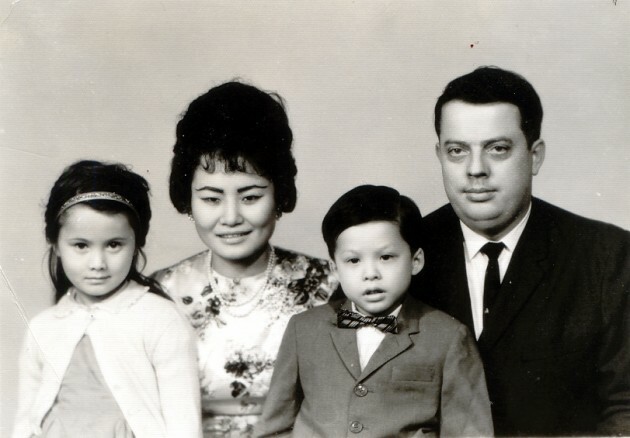 In 1989, Dmae Roberts, a mixed-race Taiwanese American independent public radio producer, writer and playwright, produced Mei Mei, A Daughter’s Song, the only radio documentary featuring a Taiwanese heritage story to receive the prestigious Peabody Award. 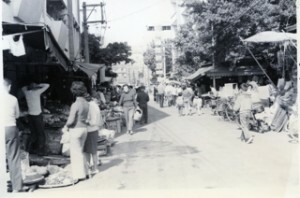 It chronicled her relationship with her mother and her mother’s childhood in Taiwan. In 1991 she wrote a multimedia stage play called Mei Mei for the Interstate Firehouse Cultural Center in Portland that was an adaptation of this 1989 radio piece. 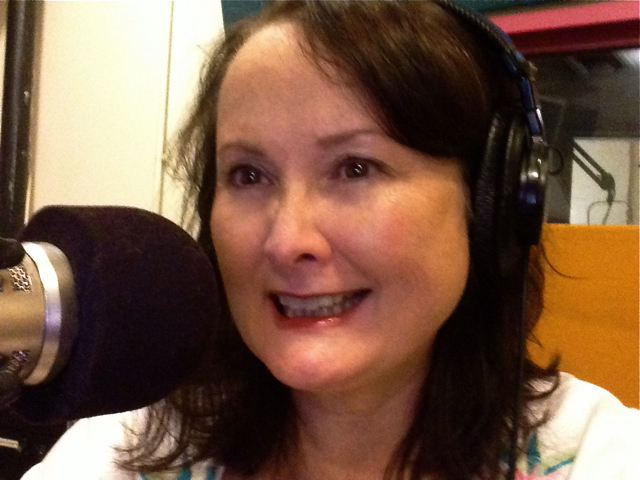 Dmae, who serves as executive producer of the nonprofit MediaRites, currently resides in Portland, OR, and has been proliferative with her creative works; more than 400 of her documentaries and audio art pieces have been featured on programs from National Public Radio and Public Radio International. Now, she’s on a mission to adapt Mei Mei, A Daughter’s Song into a half-hour film and an archival website of Taiwan sounds for its 25th anniversary. 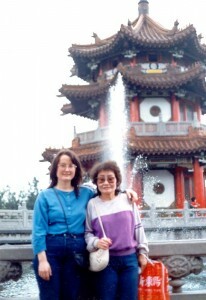 In 2010, TaiwaneseAmerican.org featured Dmae Roberts as one of our 100 Passionate People. We are now pleased to present and in-depth feature of her personal journey and her latest project. Read on, and consider supporting her current fundraising campaign. Mei Mei Film and Archive Project from Dmae Roberts on Vimeo.H: Dmae, it is such a pleasure to meet you! D: Hi HoChie, thanks for talking with me! H: So, before we get into your life story, tell us a little bit about your current film project, Mei Mei, A Daughter’s Song. D: It’s really the most painful and experimental radio piece I’ve produced and I don’t want it forgotten so that’s why I’m using it as a soundtrack for a film that could be shown to a new audience. So I’m bringing together film artists, animation artists and actors to create the visuals for a brand new half-hour film while keeping the radio piece intact as the only sound in the film. It’s inspired by some of the StoryCorps short films if you’ve seen them on the PBS site. H: I have seen StoryCorps films! I love the style and stories they present, so I’m really excited about the next level of your project. What inspired you to create the original radio documentary? D: Well, I’ve been exploring my mixed-race Asian/Taiwanese American history really since the time of radio documentary in 1989. So you could say I’ve been exploring my race and my mother’s story off and on for 25 years now. I produced a radio documentary that asked fundamental questions about about my relationship to my mom who was sold to works as a “sim-bua” or adopted daughter in pre-WWII Taiwan. The abuse, starvation and the second-class status as well as the wartime post-traumatic stress really affected her treatment of my younger brother and me as we grew up. And because we lived in an isolated rural area in a town of 2000 mostly Scandinavians, my only link and understanding to my racial heritage and culture was through my mom. So in 1989 I naively thought I could create a radio documentary that would be a loving mom/daughter piece. What it became was something shocking to a lot of people and was called “brutally honest” about our troubled relationship and misunderstandings. Mei Mei was also lauded as an experimental audio art piece and got a lot of airplay on NPR, the CBC, BBC and Australian broadcasting and won the Peabody in 1990. H: Yes, it’s amazing how that radio piece reached so many and spoke to such a broad audience. D: I personally have a difficult time listening to it. For years, I didn’t want to listen to it. It’s one of the few recordings I have of my mom who passed away in 2002. Now I want to preserve it by creating something beautiful to watch with. I’m excited now about using archival footage as well as animation and working with actors to take it to a whole new direction. H: Part of your current efforts include archiving the vintage recordings of Taiwan you recorded in 1989. I think that’s such a great idea. Can you describe what kinds of samples you captured and perhaps a few memories they bring back? D: I’ve got about 20 hours or more of stereo recordings from mostly Taipei recordings. I recorded with a stereo pair of big Sennheiser studio microphones on a professional cassette deck. I recorded marketplaces, temples, parks, puppet shows and firecrackers, lots of firecrackers. My mom and I went in February for a month and there were so many holidays that month so for many days it would sound like a war zone. It was ideal for me to record because I needed wartime sounds for the flash back scenes of my mom’s childhood. There was one amazing day when my mom and I were at a downtown temple and a lady came right up to my mic and started singing “Amitofo” (the Buddhist mantra) over and over. Later she told us about a temple “high in the clouds where people sing all the time.” We took several buses and kept asking directions for the temple. We climbed up mountain steps and passed many people who were prostrating their way up the path. For the longest time we didn’t see anything temple as we made our way up the mountain but the clouds parted as we got closer. Sure enough there was a beautiful temple in the clouds and yes, there were a hundred people singing. I recorded for over an hour while people seemed to welcome me and would sing directly into my recorder. It was a beautiful experience. You can hear a portion of that sound here. I also interviewed musicians in Taiwan that never made it into the radio documentary. There was a hu chin player named Wong On Yuen who is a dynamic virtuoso. I also recorded the Rong Shing Childrens Choir. A couple of their songs made it into the Mei Mei documentary. Beautiful clear voices singing in Chinese and Taiwanese. I’d love to make each one of their songs available as separate streams online. But it would take some time archiving and uploading on a new website that would allow people to download and listen for future use. I’d like to share this work and make make it available to the public. That’s part of what this crowd-funding effort would help me do is to digitize and upload all these cassette recordings onto an archival site. H: From the samples I’ve previewed, I definitely agree that your research and recordings are worth preserving. So, tell us a little bit about your formative experiences as a young mixed-race Taiwanese American. Was it challenging? D: Oh yes… mostly because people have always thought of me as white unless I was with my family. I always felt like I was “passing” and I often still do until I reveal my identity. I’ve been calling myself “Secret Asian Woman” for years now. It’s my guise till I have to blow my cover and say things like “by the way, I’m Asian and what you just said is kinda…racist.” Usually people get angry with me because they thought they were making a joke to another full white person. So it gets weird. But my brother and I were raised in Japan till I was eight-years-old and I remember it being a happy time. When we came to the States, we moved around a lot until we settled in Junction City, Oregon, a rural town of about 2000 where we were the only interracial family. None of the school kids knew we were Asian till my mom came to the bus stop to meet my brother and me. From the front of the bus to the back, I heard a chorus of whispers, “They’re Chinese…” as we made our way out of the bus. From that day forward, my brother was bullied to the point he reverted to an inner life. He still can’t trust or relate to most people because he was so tormented. Having witnessed that and the racism my mother endured really shaped me in my career path and in daily life. It’s my role to shine a light on that racism and discrimination and perhaps do something that will change the way people think of race. H: As you matured, what was your motivation for pursuing the Arts? D: The arts saved me when I was growing up. I’ve always been active in creative writing, theatre and media. I basically pursued subjects I’m personally affected by and that have shaped my life whether it be about studying my culture or other people’s cultural stories or histories. When my mom died, I created multi-discipline projects with documentaries and plays about breast cancer and grief. Those projects spoke of the universal experience I was going through. Creating artistic work has always been a way for me to respond to the world somehow. At this time life, I look back on 30 years as an artist and think about trying to save the work I’ve done so it isn’t lost and forgotten. That’s important to me to share this work and have it live longer than me. That’s why I’m doing the Mei Mei film project which is essentially a new model for archiving by creating a new art work. H: What you say really does resonate with me. As our Taiwanese American 1st generation, our parents, continue to age, it is so important to recognize and remember their contributions to our formative experiences personally and as a collective community. You’ve also produced a lot of excellent work featuring the Asian American experience. What were some of your most memorable or favorite pieces? D: Each piece of work is different from the other because I don’t have any one style. Some of my faves are my audio cartoon series of Nicole Hollander and Lynda Barry short pieces, Mei Mei of course, a one-hour radio play with interviews about domestic violence called Angels and Demons, a one-hour documentary with a homeless girl named Miracle and the piece I produced called Messages when my mom died. I saved all her phone messages to me when I was caregiving and wrote an essay intercutting her voicemails. My favorite series is Crossing East, the eight-hour Asian American history series that aired on 230 stations around the country. It was the first APA history documentary series on NPR stations. I think it’s still the only one. H: What is your advice for young people of Taiwanese American heritage perhaps as they figure out their life paths, yet consider their identity? D: It’s a very personal choice—how one chooses to identify. And the process of naming one’s identity is a very fluid process. Throughout my lifetime, I’ve gone from being a collection of “half” this or that to bi or multi-racial to mixed race. It’s been important to identify as Taiwanese though I still say Chinese because ethnically I’m a mix of Taiwanese and Chinese. But it’s also important for mainstream Americans to know about Taiwan to respect its culture long history of being occupied by many nations and peoples. I also think it’s important for people to understand that Taiwan is a separate country though the mainland Chinese government and our own government seems to think otherwise. However you identify, remember there were people before you who paved the way a more open discussion of racial identity. And it’s okay to keep trying out and reshaping new identities as you change and grow. H: How can people help you with your current Mei Mei film project? D: A couple of ways. Of course I’d love to get direct funding support from Taiwanese. But I also realize times are tough for a lot of people. I’ve also been asking people to share the Indiegogo crowdfunder with friends and colleagues who might want to support the film project. 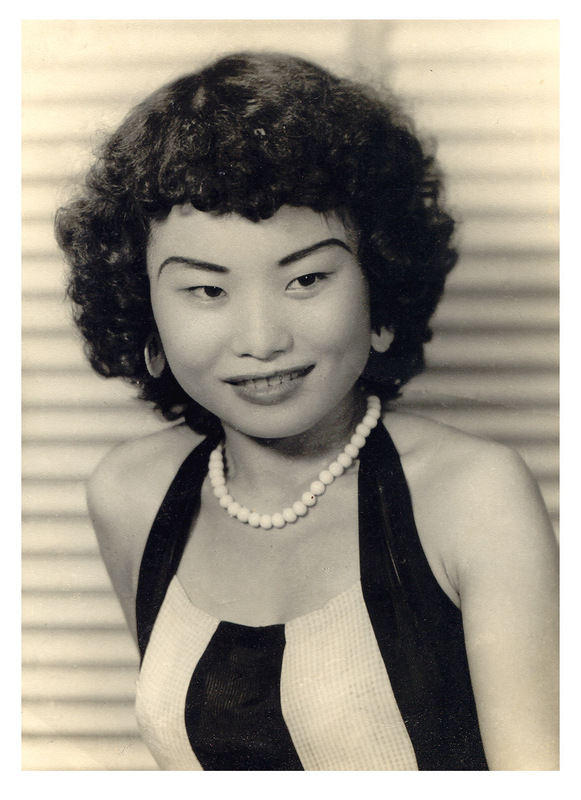 Another way is to share photos and films from the 1930s to 1950s Taiwan that might be possible to use in the Mei Mei film. One of the lines in my radio doc about my mom is “there were no baby pictures, no pictures at all until she was grown up.” So I’m looking for historic crowd photos, landscapes, countryside, farms, fields, city life –really any photos or film from that time period. And please help get the word out! H: Dmae, Thank you so much for your time. We’ll be following your journey with much anticipation! D: Thank you for helping me to reach out to the Taiwanese American community! H: It really is my honor and pleasure. This is a great project that deserves much attention.